Out with the OLD and in with the NEW. . .What better way is there to welcome the new year and the new YOU, than by starting a weight-training program? If the thought of beginning a weight training program sounds intimidating or overwhelming to you, Check out Jeff Hauswirth's Web Site and Book--Weight Training for Beginners. But remember, body transformation happens as much at the kitchen table as it does in the gym. . .so check out Jeff's website, and then come back and start cooking some of our Oh-So-Good Body-Transforming Meals. Find out for yourself that it doesn't have to taste like cardboard to be healthy! 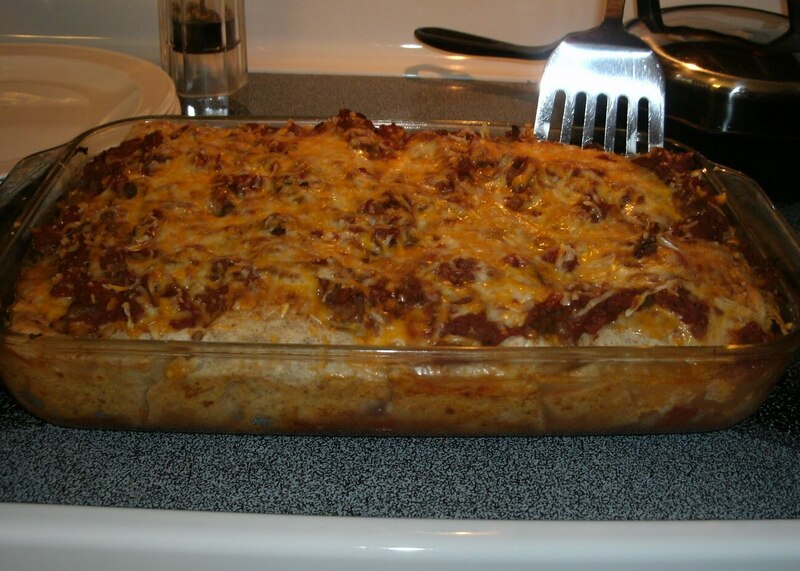 This basis for this recipe comes from a blog reader, Mike Hulz, former (and most winning) men's basketball coach at Minot State University. 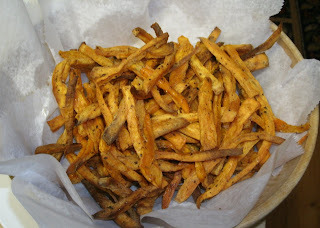 Mike's original recipe made 5 servings. 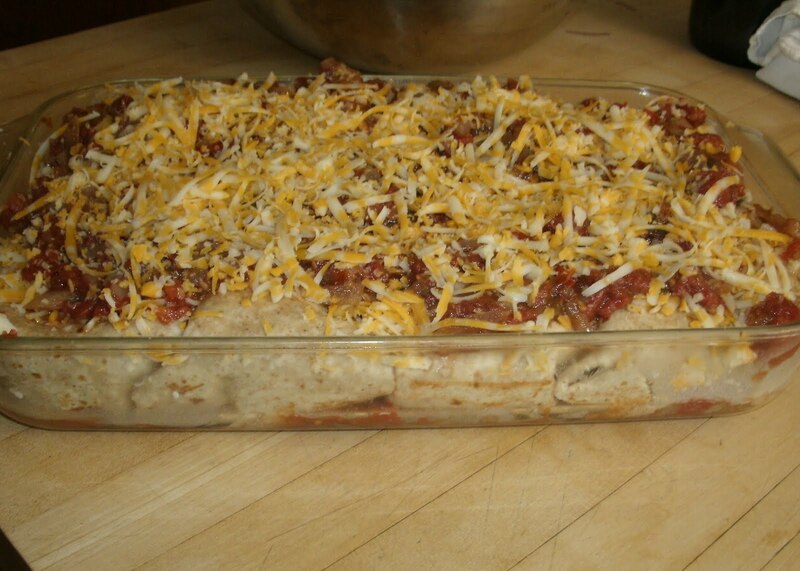 Here I have increased the servings to 8; and kicked up the protein by using more chicken and adding cottage cheese and black beans to the filling. I used one 17.5 oz. package of Large Whole Wheat Tortillas (by La Tortilla Factory). I also used one large can RoTel diced tomatoes and green chilies in place of regular diced tomatoes. The RoTel along with the pepper jack cheese provide plenty of heat, so I omitted the jalapeno pepper from Mike's original recipe. With 59 grams of protein, 10 whopping grams of fiber, and a mere 17 grams of carbs, this is a muscle-building, fat-burning powerhouse! Most of all, they'll be back for more. They're that good! Sprinkle both sides of chicken breasts with garlic salt, ground cumin, and fresh ground pepper to taste. Grill over medium high heat just until chicken is opaque throughout and juices run clear. 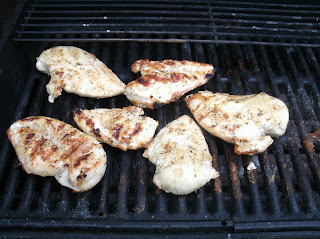 Rest chicken breasts at least 15 minutes before dicing or shredding. Prepare Sauce: Heat EVOO in medium saucepan set over medium heat. Add garlic and onion and saute until translucent. Add cocoa powder, cumin, oregano, salt, and RoTel. Simmer over low heat 15 minutes to infuse flavors. 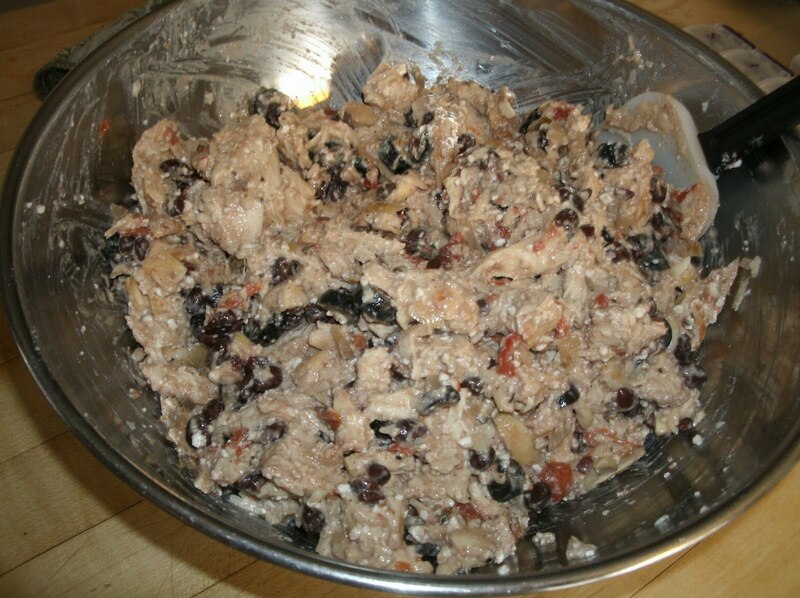 Prepare Filling: Into a bowl, combine diced or shredded chicken, black beans, cottage cheese, pepper jack cheese, black olives, and about 1/3 of the sauce. Assemble Burritos: Spray a 9x13 glass baking dish with cooking spray (for easy cleaning later). Spoon a small portion of the tomato mixture into the bottom of the baking dish to just cover the bottom. 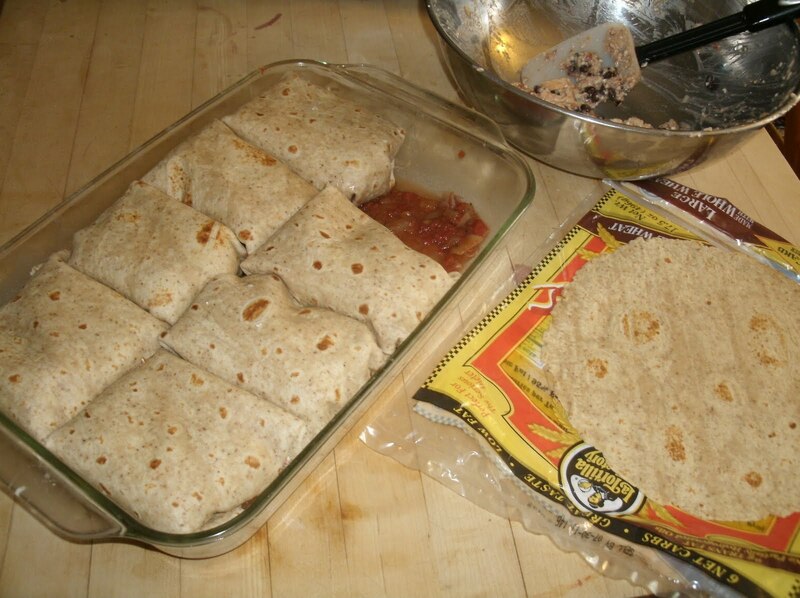 Divide the chicken mixture evenly among the 8 tortillas. Fold each tortilla together from each end, overlapping in the middle, making a square package to hold the chicken. Place each seam-side-down in the baking dish, pressing them together to fit. Spoon the remaining tomato mixture over the top; top with Marble Jack Cheese. 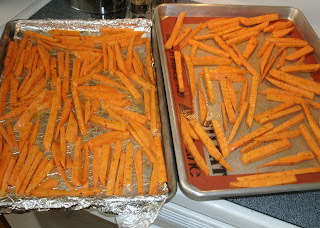 Bake uncovered in a preheated 350 degree F. oven about 45-50 minutes until bubbly. Optionally serve with lowfat sour cream and your favorite fresh salsa from the deli. Fresh Morel Mushrooms, a spring delicacy add depth and a nutty richness to most any beef dish. Last week, my friend Lauren Manninen (studying Forestry at Michigan Tech) brought me a bag filled with fresh morels. She and her friend were out in the woods near Escanaba, and came home with (I'm told) hundreds of morels. This recipe can be made with any type of fresh mushrooms (shiitake, crimini, button, etc--or a mixture of several types). We teamed this crowd-pleasing entree up with Garlic Smashed Rosemary-Scented Redskins and Easy Grilled Marinated Asparagus. 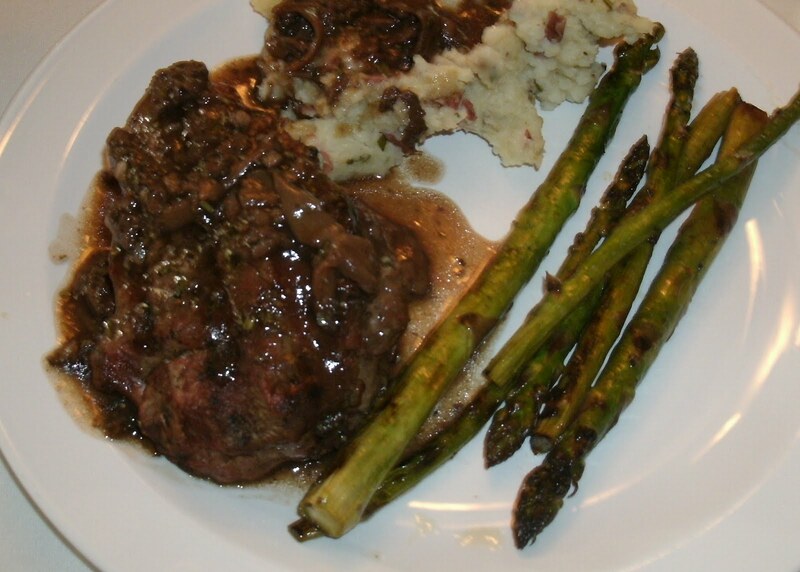 You can read about the health benefits of Rosemary with grilled meats at another Beef Tenderloin Recipe HERE. Infuse EVOO: Into a small dish, combine the EVOO and the 2 pressed garlic cloves. Set aside at room temperature for at least 1-hour (the longer the better) to allow the garlic to infuse the olive oil. Reduce Beef Stock: Into a medium saucepan set over medium-high heat add the beef stock, the two cloves of smashed garlic and a couple of grinds of fresh black pepper. Simmer uncovered until reduced to 1-1/2 cups (about 45 minutes). Remove and discard garlic cloves and set reduction aside. 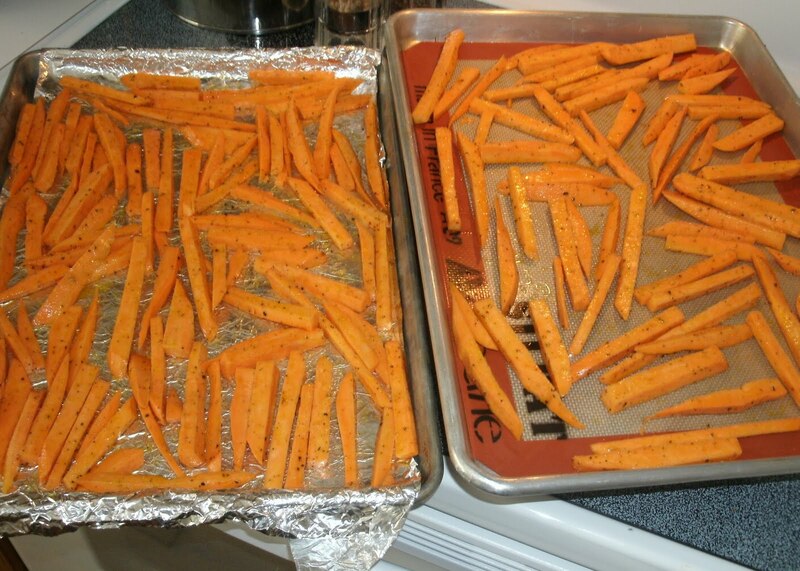 This can be done a day or more ahead (cover and refrigerate), or while preparing stuffing. Prepare Mushroom stuffing: Into a saute pan set over medium high heat, heat EVOO and add the pressed clove of garlic and shallots. Saute until aromatic and garlic and onion begins to soften. Add the chopped morels, salt, pepper, and thyme. Saute until the mushrooms give up most of their liquid. Add the cognac or brandy and saute until all liquid has evaporated. Remove stuffing to a bowl and set aside. Stuff and Prepare Filets: Using a small sharp knife, cut a 2-3 inch wide, by 2-3 inch deep slit into the side of each filet making a pocket. Stuff the filets with 2-3 teaspoons of the morel stuffing and secure opening with a toothpick. If you have leftover stuffing, it can be used in the demi glace. Brush both sides of the filets with HALF of the garlic infused EVOO from step 1 above. Include some of the garlic bits as well. Season both sides of steaks with salt and fresh ground pepper and the minced rosemary. Preheat BBQ grill to medium-high. Prepare Demi Glace: Into a medium saute pan set over medium-high heat, add the remaining infused EVOO and garlic bits from step 1 above, and heat until aromatic and garlic begins to sizzle. Add the sliced morels and shallot, season lightly with salt and fresh ground pepper and the teaspoon of minced rosemary leaves. Saute until the mushrooms begin to give up their liquid. Add both wines and reserved beef stock reduction. Boil and reduce 5 minutes. Stir in the cornstarch mixture, and whisk until sauce is rich and satiny. Reduce heat to ultra low and keep sauce hot until ready to plate. Grill filets over medium high heat (about 4 minutes per side for medium rare). Steaks are medium rare when you first begin to see a pearling of juices form on the surface of the steak. Remove steaks to a platter and tent with foil. Rest 5-7 minutes before plating. Serve with a generous ladle of the morel demi glace. Carbohydrates: 41g (all clean); Fiber: 10g! This warm entree salad is an Italian taste treat--flavored with tomatoes, basil, and balsamic vinegar. It's not only high in protein and low in calories and fat, it packs 10 whopping grams of dietary fiber. Moreover, it has no starch, so it's a perfect quick and easy supper for anyone who is insulin resistant or diabetic. Best of all, the taste is fantastic! 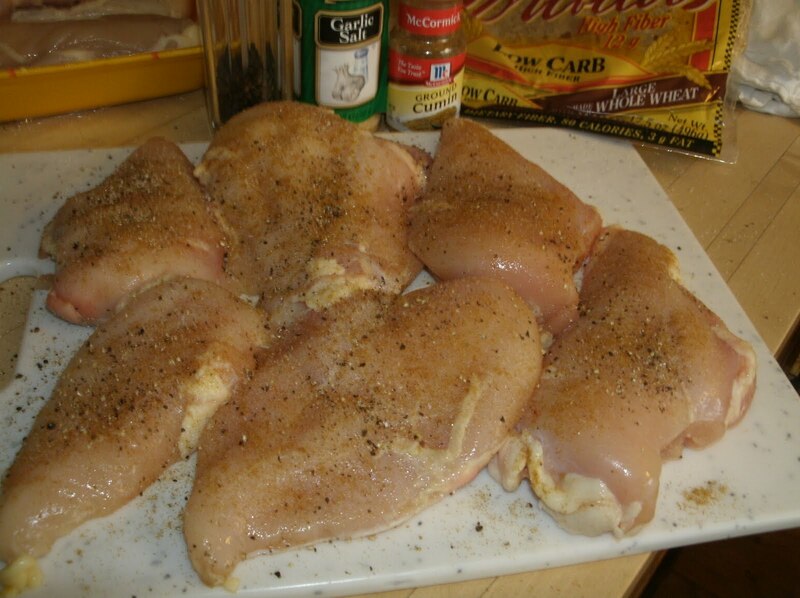 Sprinkle Montreal Chicken seasoning on both sides of chicken breasts. Add 1 Tablespoon EVOO to a medium saute pan set over medium heat. Add the chicken breasts and saute about 10 minutes, turning once, until internal temperature is 165 degrees F. Transfer to a platter and tent with foil. In the same pan, add the second tablespoon EVOO and the pressed garlic, stir until aromatic. Add the Tomatoes, Beans, Black Olives, and salt and pepper. Saute 4-5 minutes and add the Balsamic vinegar. Remove from heat and stir in minced basil and parsley. Divide spinach leaves among 4 dinner plates. 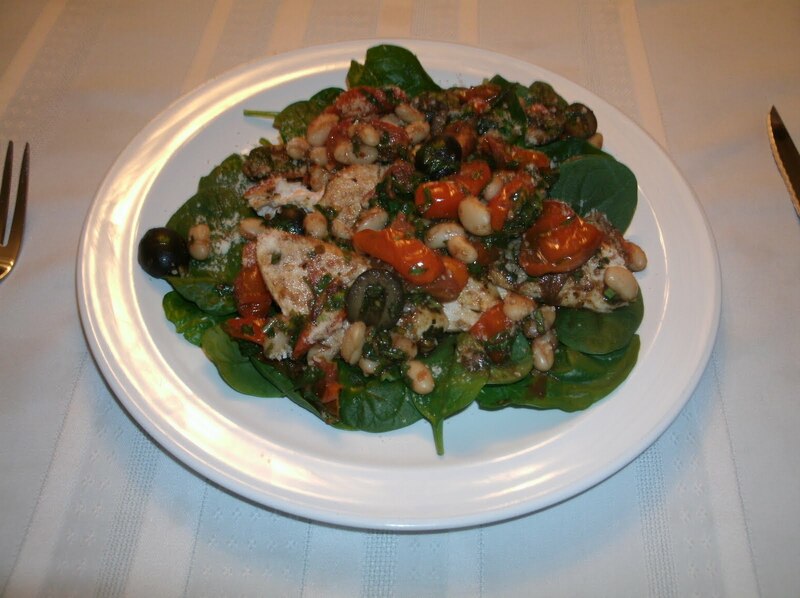 Slice chicken breasts on the bias and top each spinach bed with 1/4 of the chicken. Ladle the hot tomato/balsamic mixture over the chicken and garnish generously with Parmesan cheese.